SMSbroadcast enables you to conduct high volume, SMS text message marketing campaigns, by sending an SMS text message to recipients that you have listed in a spreadsheet. The spreadsheet may have been created manually, or previously exported from a third-party application. As well as sending your campaign immediately or scheduling it for later, you can also send the campaign out over the course of the day. SMSbroadcast can split up your campaign, smoothing its delivery according to your timing and available resources. Web-based SMSbroadcast is accessed through your online account and takes you through a simple four-step process to select your spreadsheet, enter your message and send the text message campaign. 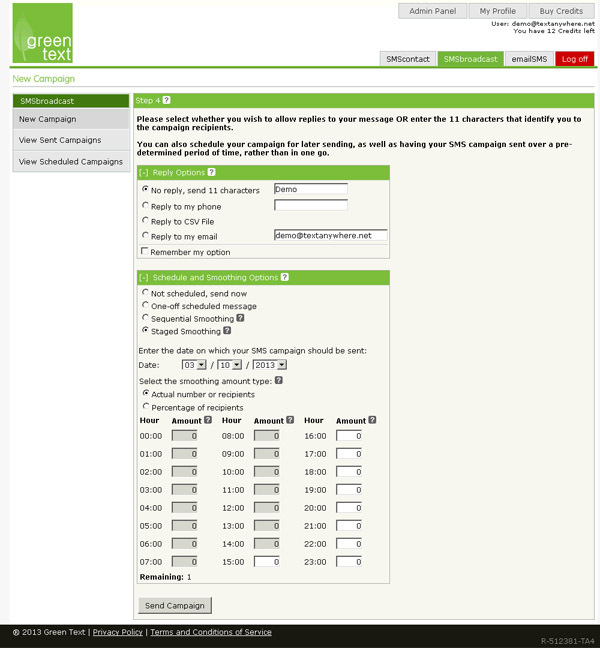 The text message can also be personalised to each recipient. For example, if the recipient phone numbers are in column one of the spreadsheet and their first names are in column two, then the message can be personalised with “Hi %column2% ...”. SMSbroadcast formats each of the phone numbers in your spreadsheet, and automatically removes any duplicate numbers, ensuring only one message is sent to each handset. You can send any size of SMS campaign, with your spreadsheet containing just a few recipient numbers or tens of thousands of mobile or landline phone numbers. Send an SMS campaign to any number of recipients. Choose to send either regular or extended length text messages up to 918 characters in length. 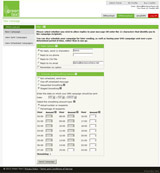 Receive replies back to your email or in to a spreadsheet for later download and review. Send your SMS campaign immediately, or schedule it for later sending. Spread the sending of the campaign over a whole or part of a day (learn more). 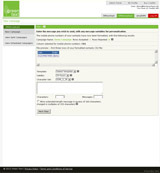 Enter your message manually, or select one of your templates. Set the length of time a message should be tried for, before expiring, up to a maximum of 72 hours. 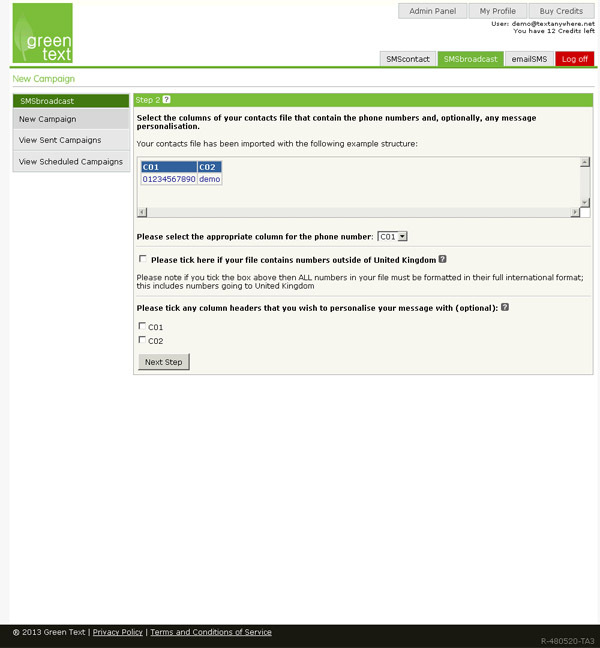 Check the delivery status of each message recipient and download a campaign delivery report for later review. View your online interface in the language and time zone of your choice. Send messages in multiple languages and writing systems, including Arabic, Mandarin, and Hindi. The only charge is for the messages that you send, at a maximum of 3.6p each.